Discover your home for better living at Sherwood Village Apartment & Townhomes. 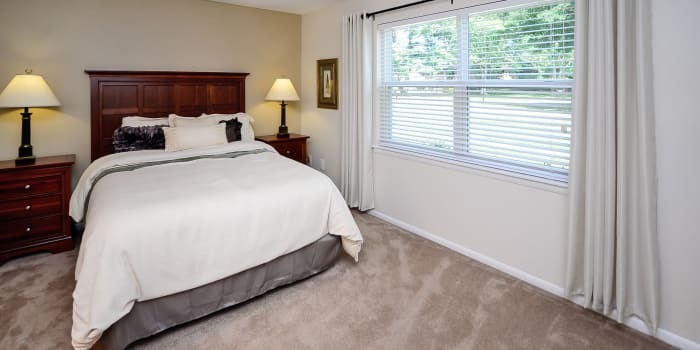 Conveniently located near Joint Base McGuire-Dix-Lakehurst in Eastampton, New Jersey, we offer one bedroom apartments and two bedroom townhomes. The highlight of our homes is the gourmet kitchen, fully equipped with available modern appliances, custom maple cabinetry, and gorgeous granite countertops. 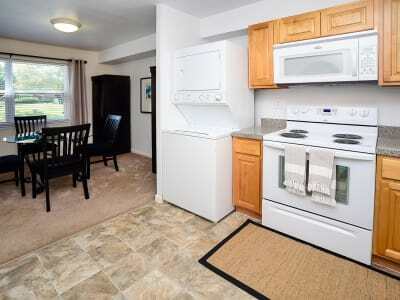 You can even enjoy home-cooked meals in the charming separate dining area. To ensure your apartment meets your standards, a Morgan Properties team member will complete a 101-point inspection before you move in. There’s more to love around every corner at Sherwood Village Apartment & Townhomes. When you’re not creating chef-quality meals in your beautiful kitchen, relax and enjoy the scenic views from your private patio or balcony. Because we care about your comfort, each home also boasts gas heat and air conditioning so you can set your home to the perfect temperature. Floor Plans Ranging from 510 sq. ft. – 1,220 sq. ft. Experience the best of Eastampton, NJ, at Sherwood Village Apartment & Townhomes. Call our team today to set up a personalized tour.